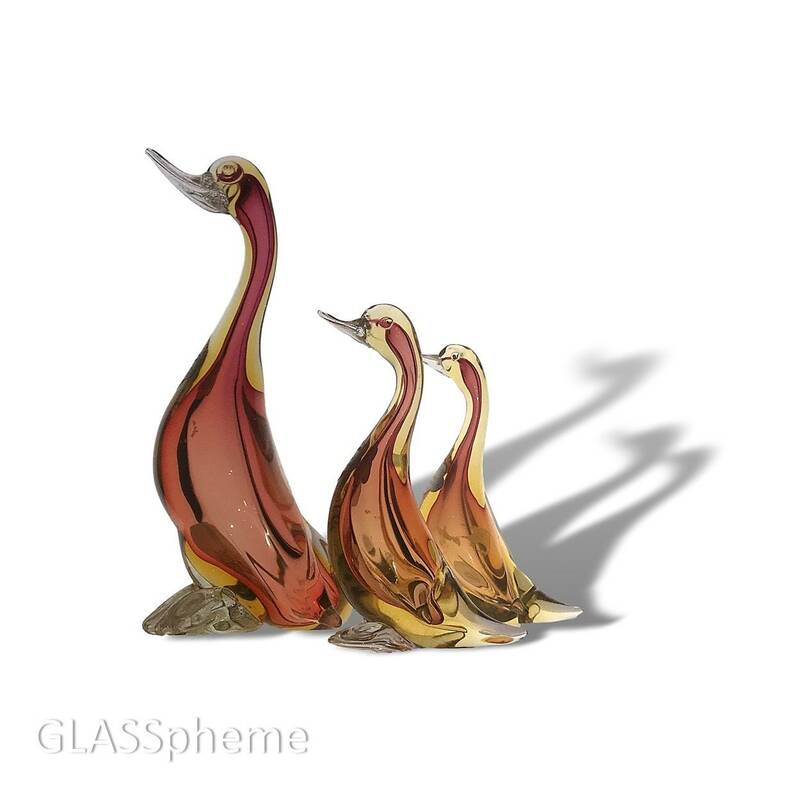 What's better than a graceful Alfredo Barbini sommerso duck (or other type of water fowl)? A flock of them! Or at least a Mama duck and her small brood! (No sexism here--the male duck is known to fly the coop before the eggs hatch.) 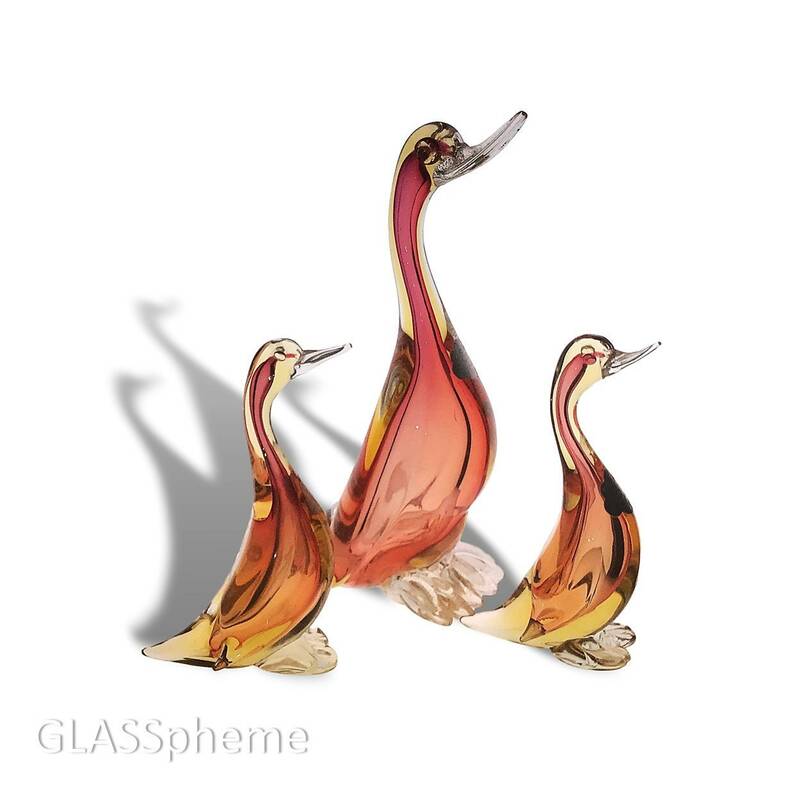 This hard-to-find spectacular set of ducks was produced by Alfredo Barbini for Weil Ceramics and Glass in the mid-century period and each duck still retains its original label. 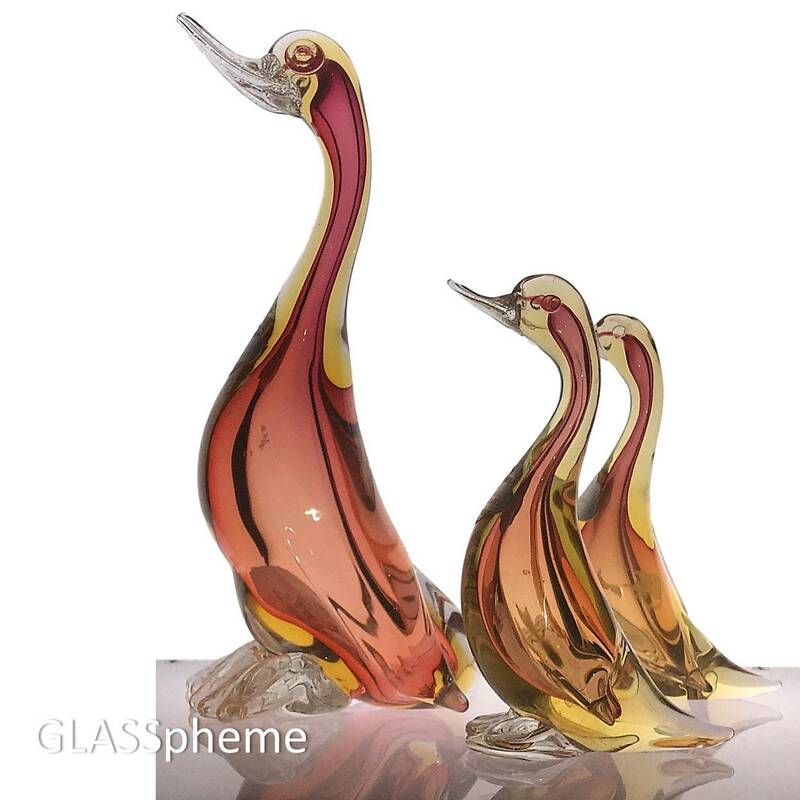 This beautiful sommero | encased | submerged glass set is done in a dreamy rose/cranberry and amber with clear glass feet and beaks (though the beaks are strewn with gold aventurine flakes). This set is in absolute PRISTINE condition -- the odd shadows in the photos were smudges of dirt that's since been removed and there's not a scratch or imperfection that I can spot anywhere.